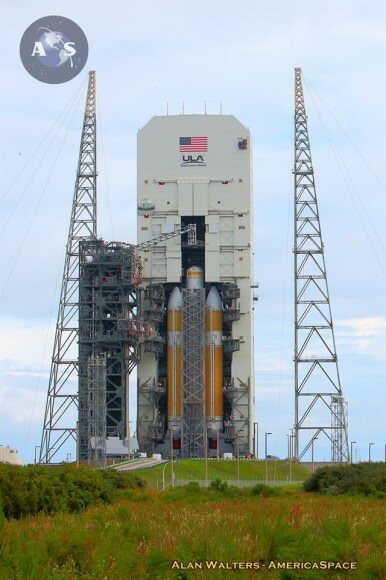 CAPE CANAVERAL AIR FORCE STATION, FL – Production and assembly of virtually all of the key hardware elements for NASA’s eagerly anticipated Orion EFT-1 uncrewed test flight are either complete or nearing completion at the Kennedy Space Center and Cape Canaveral. Two of the three first stage boosters comprising the mammoth Delta IV Heavy rocket that will propel Orion to high Earth orbit have arrived at Cape Canaveral Air Force Station, Florida, and were unveiled this week by top NASA managers at a media briefing attended by Universe Today. 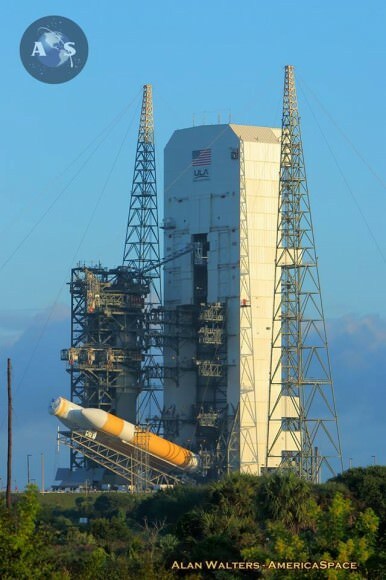 The triple barreled Delta IV Heavy rocket is currently the most powerful rocket in America’s fleet and the only one capable of launching the Orion EFT-1 capsule to its intended orbit of 3600 miles altitude above Earth. Due to urgent US national security requirements, the maiden blastoff of the unmanned Orion pathfinder capsule – that will one day send humans back to the Moon and beyond Earth’s realm – has just been postponed about three months from September to December 2014 in order to make way for the accelerated launch of recently declassified US Air Force Space Surveillance satellites – as I reported here. The center and starboard side boosters recently arrived at the Cape aboard a barge from Decatur, Alabama where they were manufactured by United Launch Alliance (ULA). 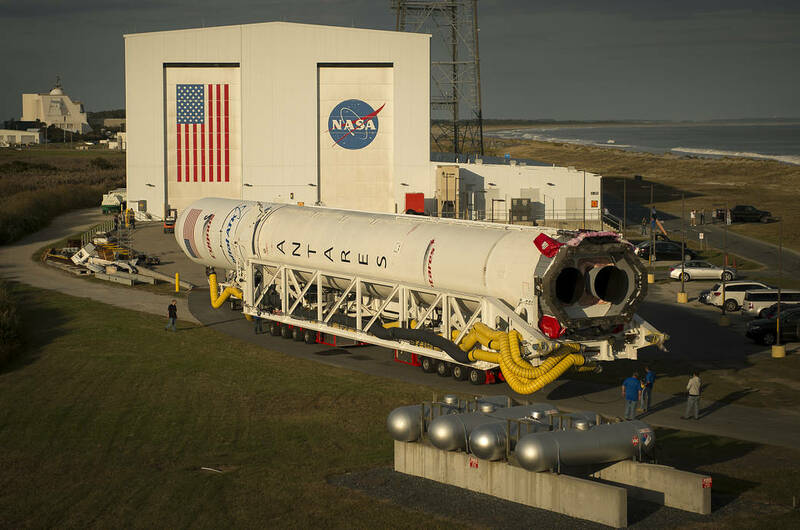 The remaining port side booster and the Centaur upper stage are due to be shipped by ULA to Cape Canaveral in April. Despite the EFT-1 launch postponement, Kennedy Space Center Director Bob Cabana said technicians for prime contractor Lockheed Martin are pressing forward and continue to work around the clock at the Kennedy Space Center (KSC) in order to still be ready in time to launch by the original launch window that opens in mid- September 2014. “The contractor teams are working to get the Orion spacecraft done on time for the December 2017 launch,” said former shuttle commander Cabana. Universe Today also confirmed with Cabana that NASA will absolutely not delay any Orion processing and assembly activities. “Our plan is to have the Orion spacecraft ready because we want to get EFT-1 out so we can start getting the hardware in for Exploration Mission-1 (EM-1) and start processing for that vehicle that will launch on the Space Launch System (SLS) rocket in 2017,” Cabana told me standing besides the Delta IV boosters inside the ULA Horizontal Integration Facility at Cape Canaveral.